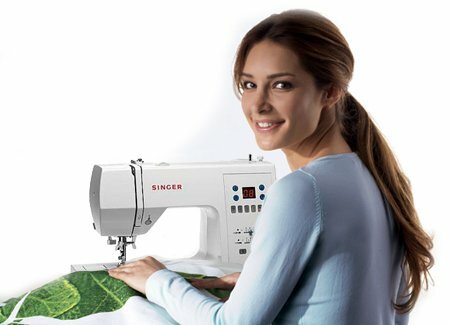 "Since 1851, the name SINGER has been synonymous with sewing. This was the year of Isaac Singer's patent on the first practical sewing machine, marking the official beginning of SINGER as a company and its leadership in the industry. The spirit of practical design and creative innovation that characterized the company at its beginning continues today as we develop products for every level of sewing. SINGER has celebrated many firsts, including the world's first zig-zag machine, the first electronic machines, the first sewing assistant app for mobile devices, and much more. From fashions to home décor, embroidery, quilting and more, SINGER is dedicated to helping people express themselves through the craft of sewing." Come in and see our full line of Singer Machines from the affordable entry level to professional and commercial grade products. We will be happy to demonstrate all of the features available.